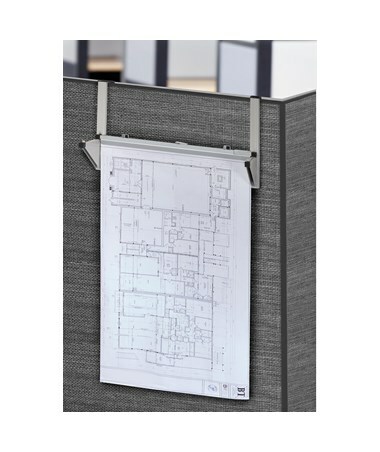 Hanging paper clamps are sold separately. 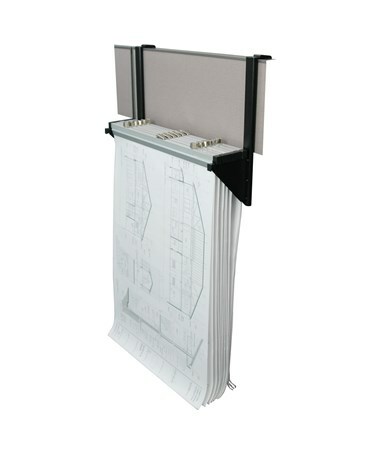 The brackets of this blueprint wall rack measure 6¾ inches long, 1½ inches wide, and 18¼ inches tall. 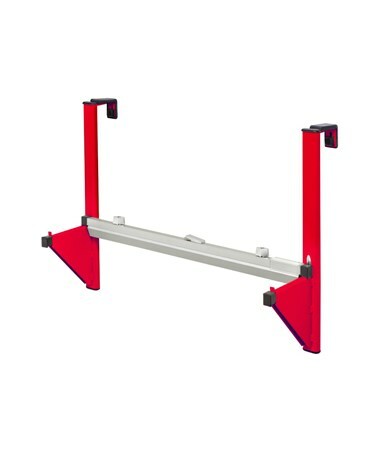 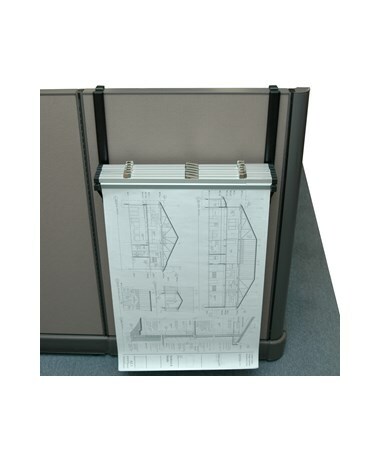 This vertical blueprint rack is made of steel and has a weight capacity of up to 120 pounds. 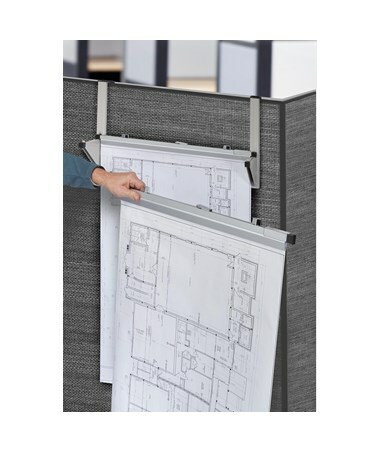 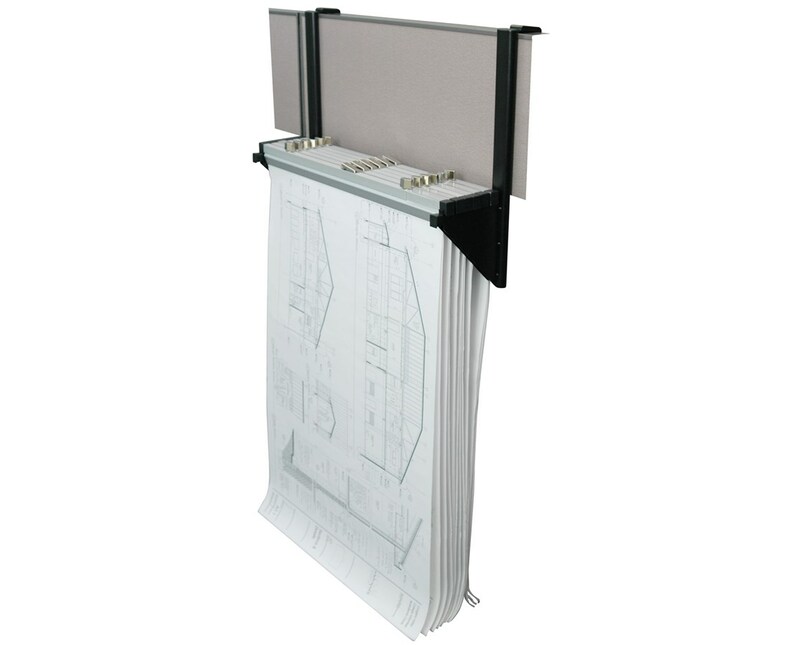 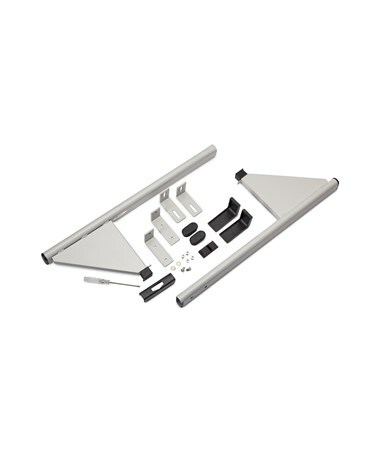 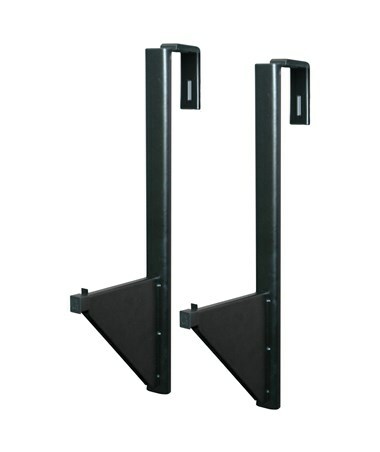 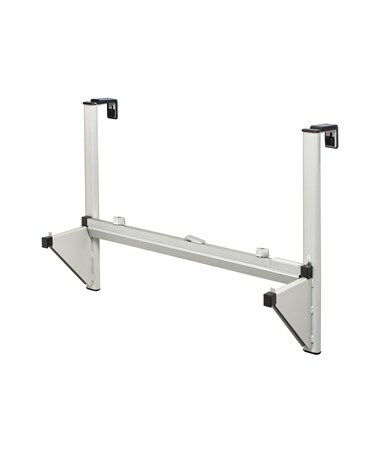 The Adir cubicle wall rack comes with a limited lifetime warranty and minimum assembly is required. 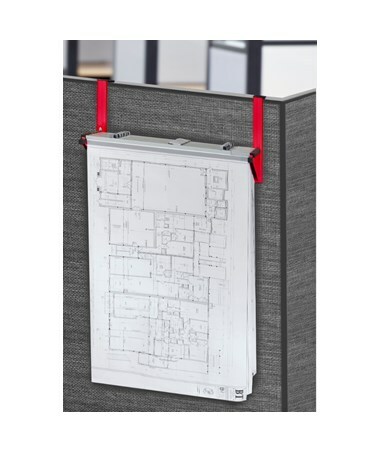 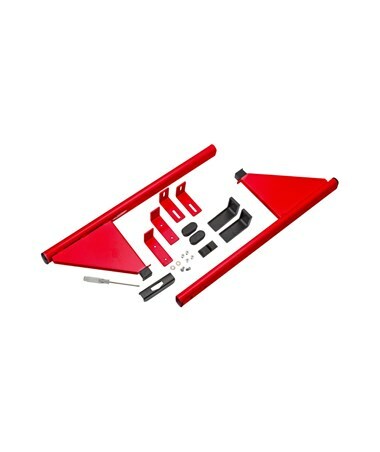 Please Note: Clamps and plan holders are sold separately. 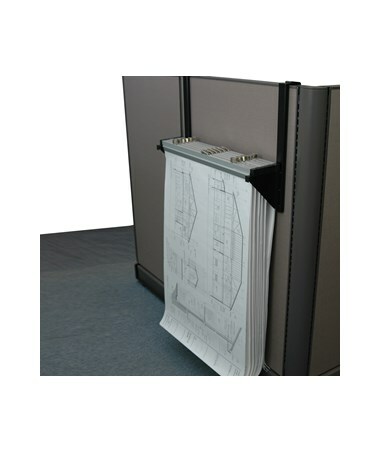 The Adir Cubicle Wall Rack comes in four color variations for an elegant-looking finish. 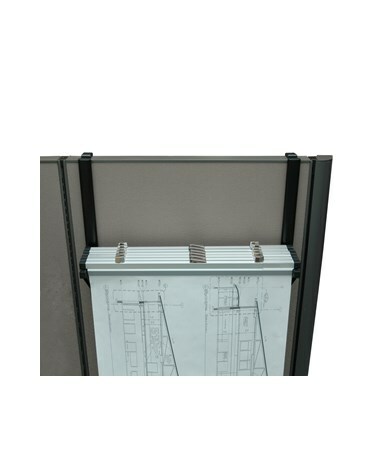 Choose from the drop-down menu above.